This item is not available for purchase online. Please call (828) 277-4100 to order. We love to help pick out the perfect machine for our customers. Come visit us and we'll help you decide. One-year Labor Warranty On-Site at Asheville Cotton Co.
In-Store purchase and pickup includes send-home service, where we make sure you know how to wind a bobbin, thread the machine, do cleaning and maintenance, and get started sewing right away. 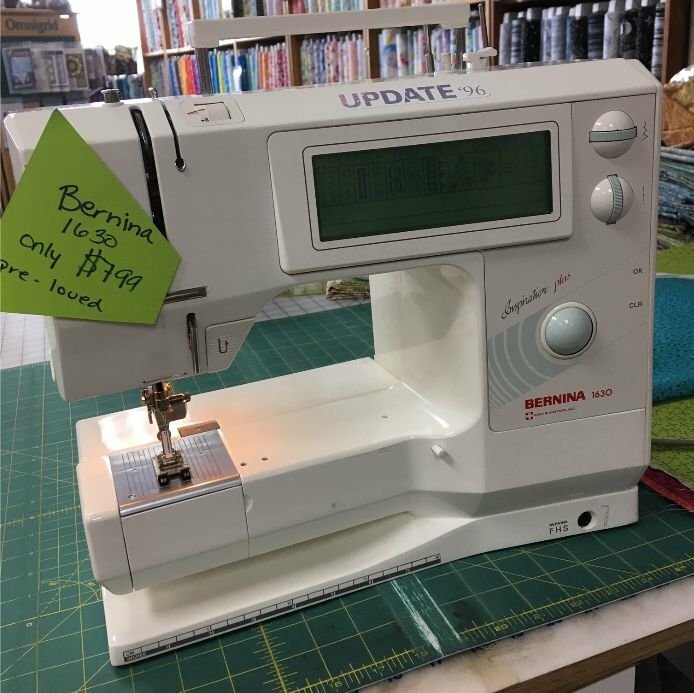 This pre-Loved Bernina 1630 was manufactured around 1996. It features lots of 9mm wide stitches and multi-motion stitches, and comes with a lot of presser feet and accessories.